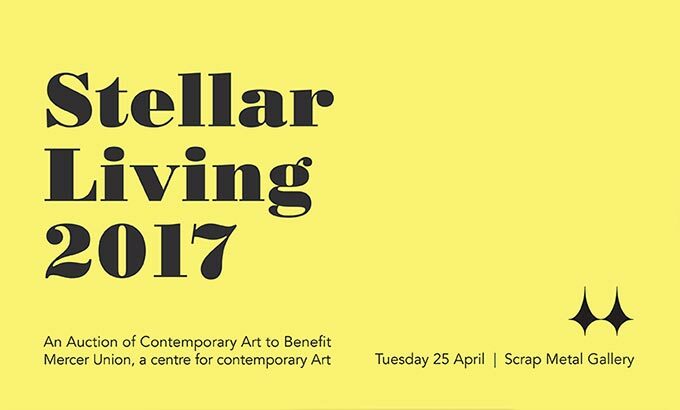 Mercer Union is proud to present Stellar Living 2017, our signature fundraising auction. The proceeds from Stellar Living 2017 will contribute essential funds to exhibitions and programs at Mercer Union, and help us maintain our position as Toronto’s leading artist-run centre. This event is made possible by the generosity of artists — those working at the forefront of contemporary art and helping to shape cultural landscapes locally and beyond our borders. We are indebted to their support for our commitment to the production of new and experimental work, reflecting Mercer Union’s ambitious programming vision.